This is an actual page from a brides wedding album featuring her wedding details. 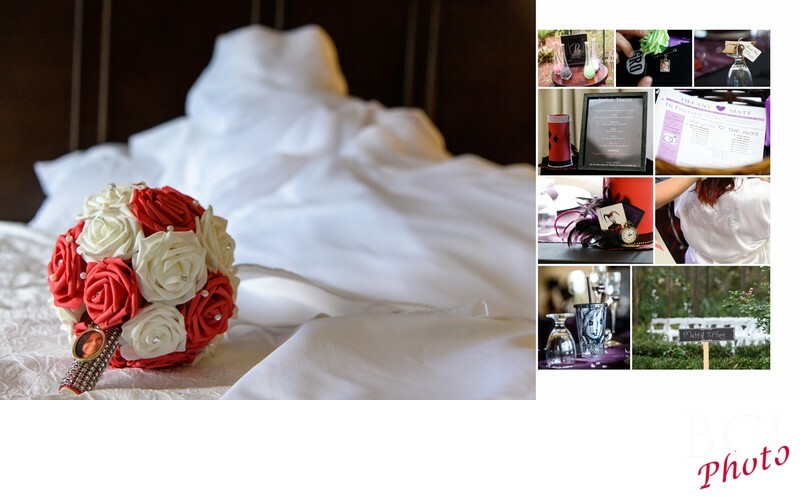 Including her wedding dress, bridal bouquet, seating chart, table favors, wedding decorations, wedding signs, wedding theme props, and decorated wedding theme glassware. Typically we dedicate at least one page in every brides album to her personal details, signs, rings, flowers, etc etc. Location: Port St Lucie, Florida.